Poor John celebrates birthday in scenic style | Where to next? 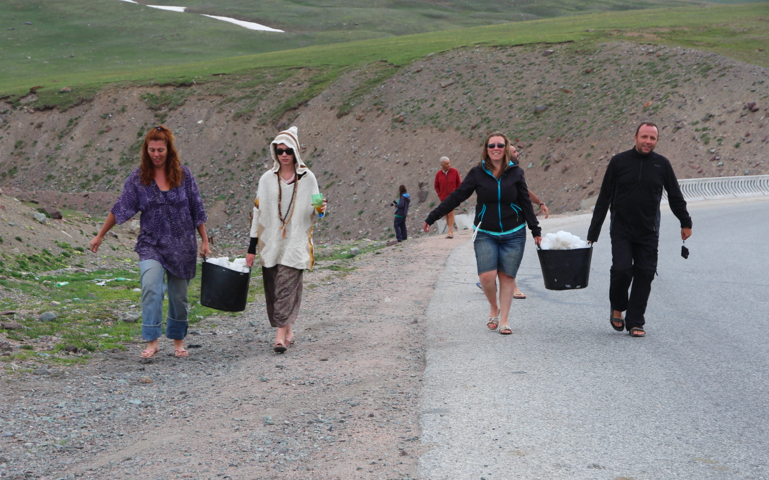 Not many people can say they celebrated a birthday in Kyrgyzstan unless, of course, they actually ARE from there. But Poor John is from Australia, and just the other day he had a whoop-de-do birthday celebration in the wilds of this fantastically scenic Central Asian country. 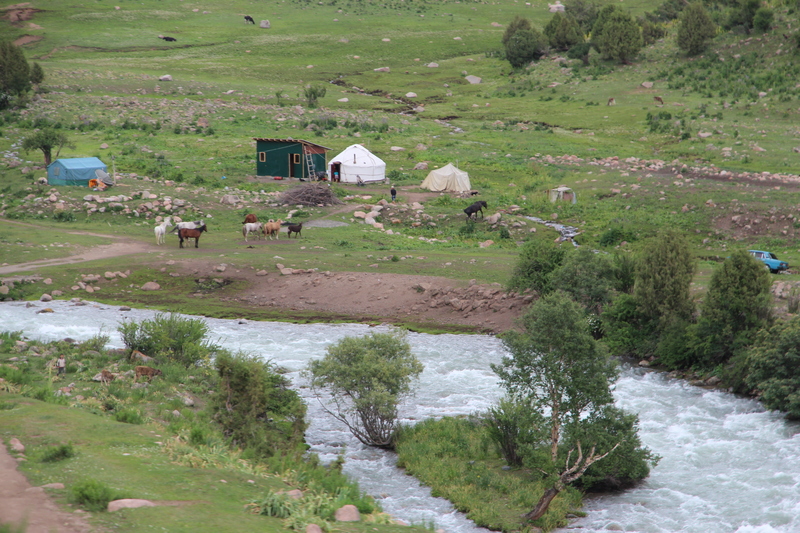 For starters, he spent the day travelling through some gobsmackingly beautiful Kyrgyz countryside. Then he didn’t have to cook his own dinner—we’d cooked the night before. 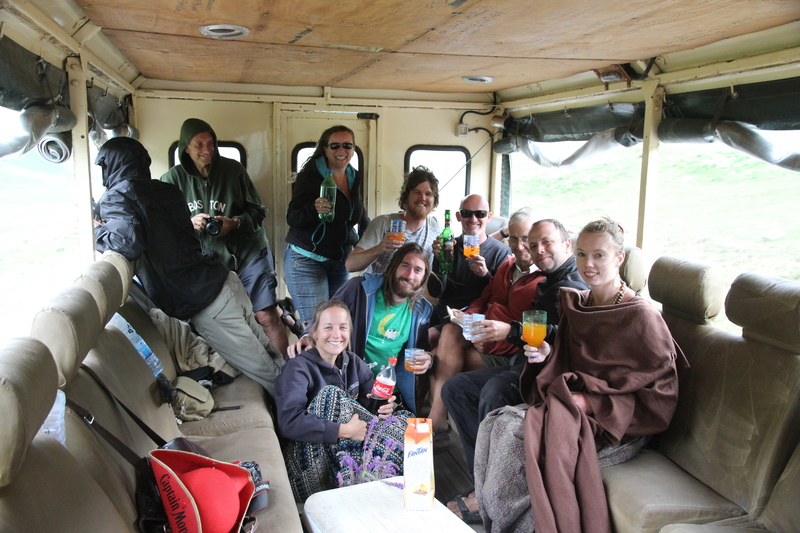 But the thing that tickled me most—and I think Poor John was pretty darn chuffed (pleased) too—was the spontaneous happy birthday toast given to him by our travelling companions on the truck. 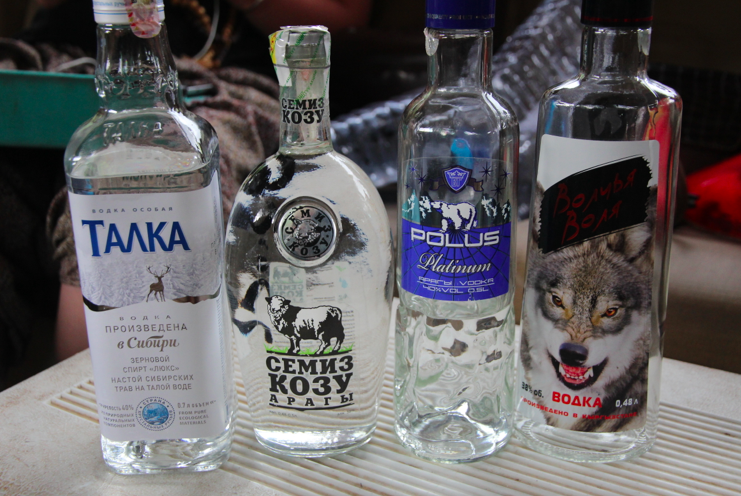 We were riding through territory known for its yurts, snow and vodka, and there was plenty of vodka chilling on snow in the Eskys (ice chests). It was late afternoon and time for a drop, and everyone piled to the back of the truck for a birthday toast to Poor John. What a great way and place to have a birthday. Feliz Aniversario John. Feliz Aniversário! Aqui do Brasil, mandamos um grande abraço, mesmo voce estando ai no Quirdistão. Aguardamos voces aqui em casa, para então revelarmos a receita SECRETA do molho saúde. Grande abrao John. Feliz Aniversário. Thanks, we’re having a fantastic time. Cool truck!! Which company are you travelling with? We’re travelling with African Trails. We were with them in 2009 when we spent almost a year in Africa. Thank you kindly. Will google them and see what they offer! Happy birthday to Poor John. There isn’t a kinder, more gentle man on Earth. Aw, Potsie, you are so right and, like me, very biased. Happy birthday Poor John. I’m really pleased that you had such a great celebration and hope you enjoyed trying the different types of vodka! Ah, what a wonderful place to celebrate. Happiest of birthdays John. Many thanks Jolandi. He had an amazing day. He did have a great birthday. Wish I had managed to get a pic of the cake. the photos are really inviting…! We went nuts about Arslanbob | Where to next?